I awoke to the most beautiful day. The sun was bouncing off all the buildings that surround my view and the sky was bright blue. I was completely inspired to do some site seeing, so I had my cup of coffee and started putting on my layers of clothing. 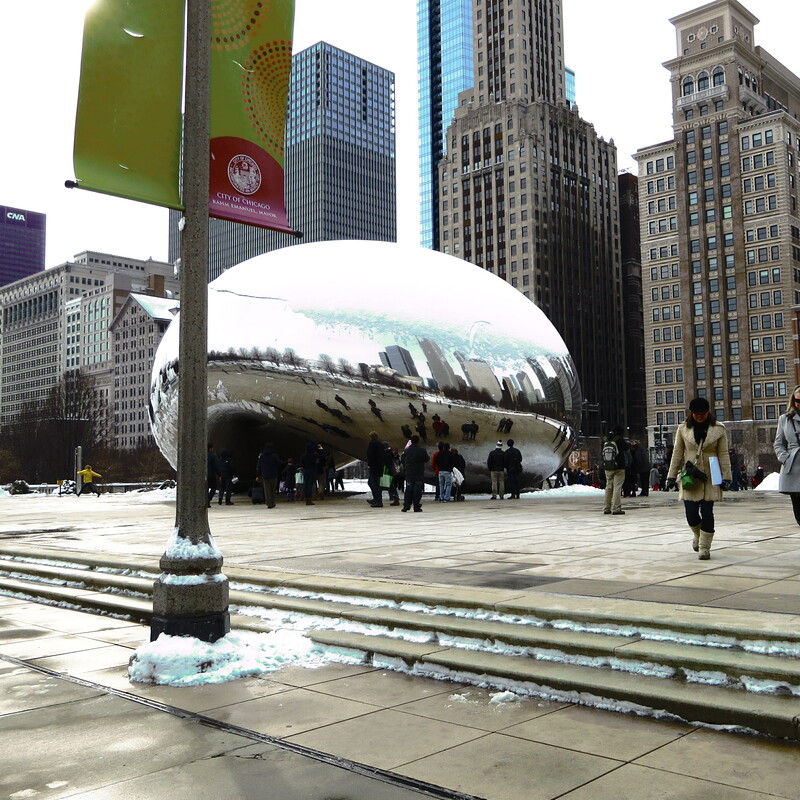 The Cloud Gate (commonly called the “bean”) was completely breathtaking. What made my visit even more special is that I have seen pictures of this work of art in the summer and when I went there it had a cap of snow on it. It was stunning! There were lots of people taking pictures and selfies with the Cloud Gate, myself included, but what really impressed me was going under the Gate and standing right in the middle of its architecture. I stood looking straight up at the centre and let out a deep exhale. This beautiful work of art almost felt organic like it was alive and breathing, like it was looking right back at us all. To know that this came from the vision of a gifted artist made me think of my own life and how dreams and visions always reach their fruition in its due time. Unfortunately, I didn’t wear the proper headwear so I had to take as many pictures as I could before I returned to my hotel room. I saw a Starbuck’s but for some reason I just didn’t feel like it…now that was just weird typing that! I stopped at a bigger Walgreens across from Millennium Park and picked up some cereal bars, gatorade and a bowl of fruit. I guess this trip is also turning into a complete cleansing…and I can already feel myself changing and moving organically with it. I couldn’t ask for anything more.